Colorful Musical Inchworm Developmental Baby Toy Just $6.34 + FREE Shipping! You are here: Home / Great Deals / Amazon Deals / Colorful Musical Inchworm Developmental Baby Toy Just $6.34 + FREE Shipping! 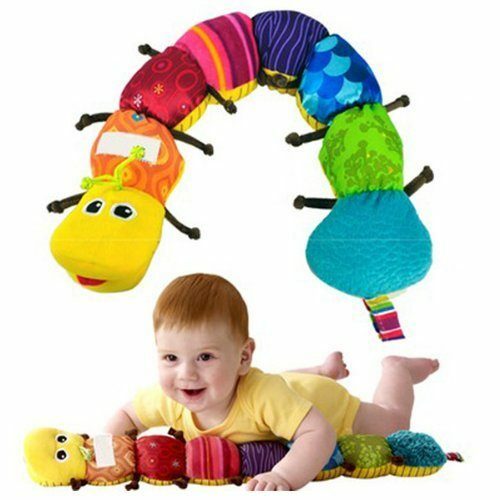 Head over to Amazon and get the Colorful Musical Inchworm Developmental Baby Toy for just $6.34 + FREE Shipping (reg. $19.99). Very Popular and lovely Baby toys. High Quality with Good Workmanship. Suitable for any age baby. The toys head inside with music, when you click it, it will sing with soft music.